Thank you for joining us in our second post highlighting the achievements of contemporary empowered women. Today’s blog is all about Jill Dietrich. In 2018, she became Director of the Dayton Veteran Affairs Medical Center, the first woman to hold this position in its 150 year history. Though she is an Indiana native, her recent leadership in Dayton is more than worthy of being highlighted here. 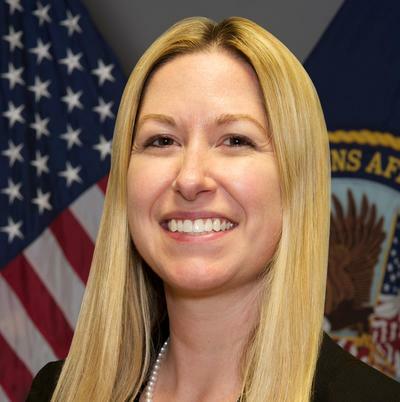 As Director of the Dayton VA, she oversees the care of more than 40,000 veterans at the Dayton hospital and clinics in Springfield, Middleton, Lima, and Richmond, Indiana. Currently, she is overseeing several projects that include fostering new programs and jobs. This includes the opening of Fisher House - a place where families of VA patients can stay for free, a food pantry initiative - where hungry veterans will have access to healthy food, and advanced certification at the Dayton medical facility for hip and knee replacement. Dietrich is also overseeing the renovation of the headquarters building which involves building a national archive for the VA.
Dietrich is dedicated to improving support of the Dayton VA. Under her leadership, the Dayton VA is on a path to engage more with the community about its services and care for our veterans.